Shopping online makes some people nervous. After all, you are giving money to a stranger you have never met, and never will meet, without seeing the product in person. While we live in a technologically advanced world, the act of buying items on the internet is still scary for some consumers. eBay is the world's largest online marketplace, and there have been many safeguards built into both the actual listings and payment processing to make shopping safe and secure. Here are a few tips to help consumers safely buy on eBay, even for the newest buyers. When bidding, making an offer, or buying an item, as a buyer, you are agreeing to purchase the item based on what is stated in the listing. Always make sure you exactly understand what you are buying before making the purchase. The seller cannot change the item description after the item has sold. Feedback on eBay shows the member's trading history with other members, both buying, and selling. Click on the "Feedback as a Seller" tab to see what previous buyers have said about the seller. Study the total number of feedbacks as well as the percentage of positive feedback to total feedback. Also look at the type of items sold and the number of items sold. Compare to what the seller offers now. For example, if the seller's history shows only $10 items sold, and you are considering purchasing a $500 item from them, make sure you are comfortable with the seller's ability to accurately represent the item. Also, read through the comments and see what other buyers have said about the seller. Do they ship on time? Do they package items properly? Are the buyers pleased with the overall experience? Also look at comments left by the seller for his buyers. Is he polite, thankful, and appreciative of buyers? If other buyers have had positive experiences with the seller, odds are you will, too. A good feedback score is 98% or higher. You can still buy safely on eBay from sellers with lower scores, just be sure to do your homework and check them out. Sometimes legitimate things do happen, and sellers work hard to overcome bad feedback and improve their standing on eBay. Some unscrupulous sellers will try to get buyers to purchase items off of eBay. Sellers can bypass eBay fees by moving the transaction from the site. This is a big no-no and can result in suspension from eBay. Always complete the transaction on eBay, through Paypal. There will be a record of the transaction, and the item may be available for buyer protection if there is a problem later. Never send cash or use instant cash transfer services. 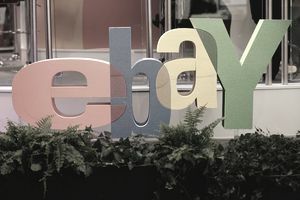 When buying on eBay, buyers receive the benefits of buyer protection coverage, access to seller contact info, and eBay and Paypal as third-party watchdogs to step in if any problems arise. You can buy safely on eBay. In fact, eBay is safer than someone's personal website because of the third-party involvement of eBay and Paypal. Always report any offers buy or sell an item outside of eBay. If there is ever a problem, disagreement, or a case opened, the first thing eBay will do when reviewing the case is read all correspondence between buyer and seller. It is why it is important to keep all communication with your seller on eBay through the eBay messaging system. There will be a trail of correspondence, and everything will be in writing. The seller can't backpedal or change his mind about what he told you. Many cases are resolved simply by eBay looking at the message history between buyer and seller. And remember, when corresponding with your seller, that eBay may read those messages one day. Be mindful of what you say and how you say it.